Do you want to be a member of the most amazing youth orchestra? This is your chance! Are you a musician between 8-26 years old? Come along no matter what orchestra instrument you play. We are especially interested in musicians playing the following instruments: double bass, oboe, bassoon, trombone, french horn, tuba and percussion. 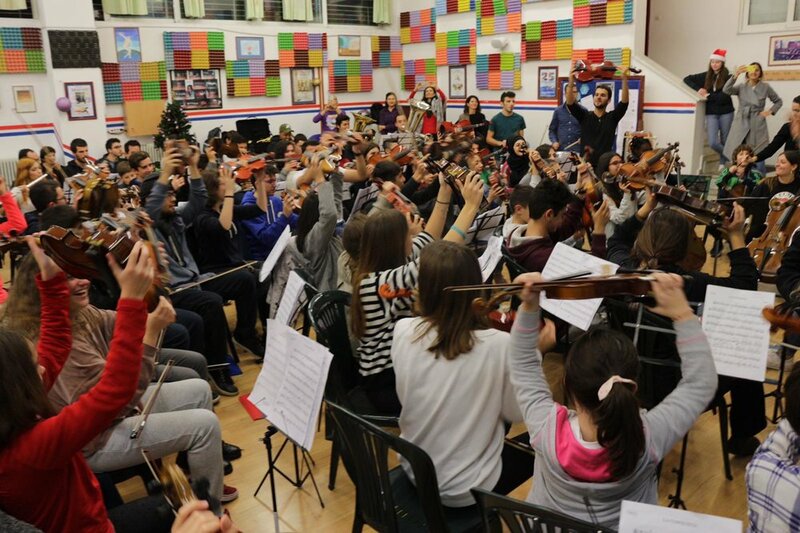 Join El Sistema Greece Youth Orchestra, improve your skills and get ready for unforgettable music experiences! And if you love music and have organizational skills, you can also join ESGYO as a volunteer! You will have the opportunity to learn how an orchestra works backstage. Your help is valuable! Verification letters will be given to all participants. Send your e-mail to adriana@elsistema.gr. Session 2 starts on 12/01 and ends on 20/04. El Sistema Greece Youth Orchestra(ESGYO) rehearses every Saturday afternoon from 16.00 to 19.00 at Malliaras School (Erechthiou 6, Alimos). For convenient access to and from rehearsal space, transportation by shuttle bus is available to musicians by El Sistema Greece.